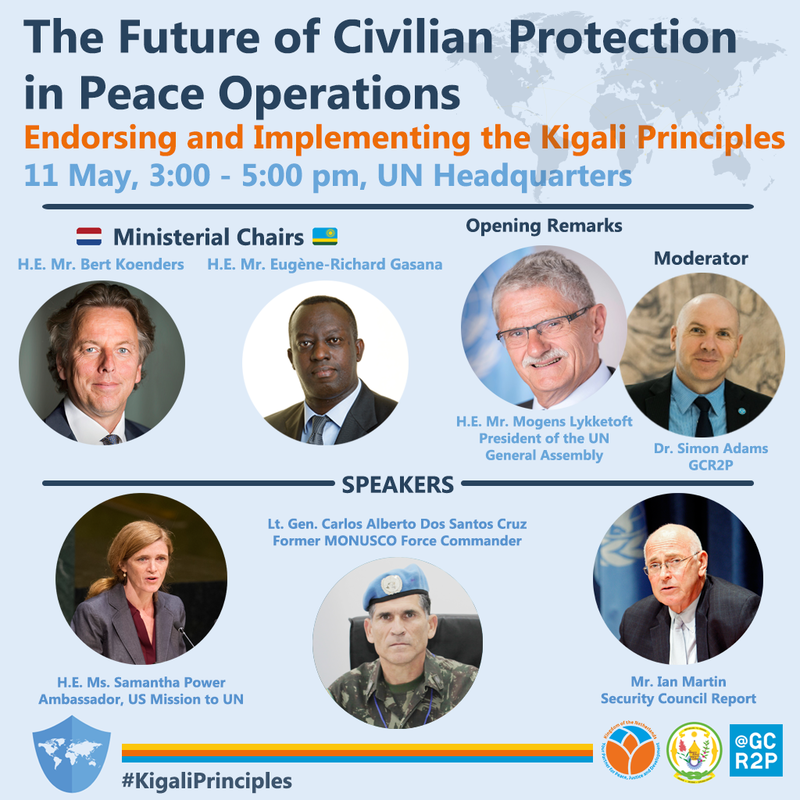 On 11 May 2016 the Permanent Missions of the Kingdom of the Netherlands and the Republic of Rwanda to the United Nations (UN) and the Global Centre for the Responsibility convened a high-level event on the The Future of Civilians Protection in Peace Operations: Endorsing and Implementing the Kigali Principles. 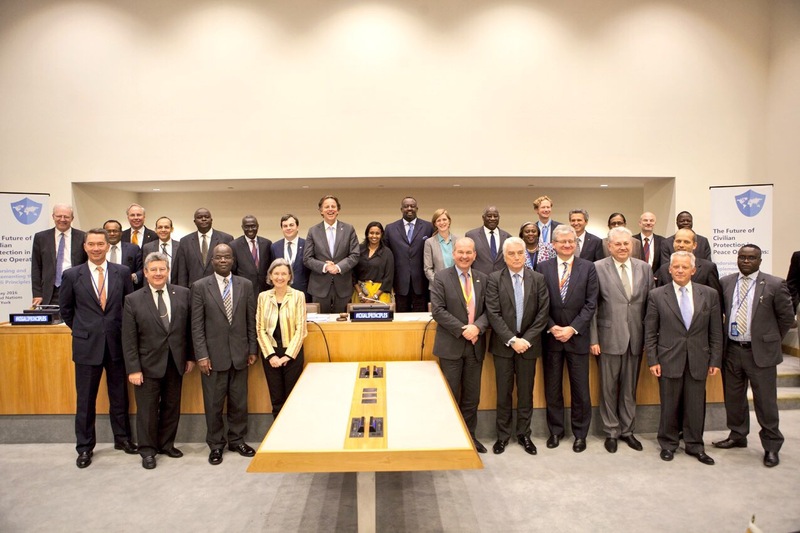 The event was held on the margins of the High Level Thematic Debate on the UN, Peace and Security. The high-level event was co-chaired by Mr. Bert Koenders, Minister of Foreign Affairs of the Kingdom of the Netherlands, and Mr. Eugène-Richard Gasana, the Minister of State in Charge of Cooperation and Ambassador to the UN of the Republic of Rwanda. The President of the UN General Assembly, Mr. Mogens Lykketoft, provided opening remarks. Dr. Simon Adams, Executive Director of the Global Centre for the Responsibility to Protect, moderated the event. The event featured an esteemed group of speakers, including Ms. Samantha Power, Ambassador to the UN of the United States, Lt. Gen. Carlos Alberto Dos Santos Cruz, the former Force Commander of the UN peacekeeping operation in the Democratic Republic of Congo, and Mr. Ian Martin, the Executive Director of Security Council Report.